CreativeAK – LCG Lantech, Inc.
LCG Lantech, Inc was a great project to work on for two primary reasons, awesome images and an open SEO field. The imagery that LCG was able to provide was phenomenal. They took high-quality engaging photos of each of the projects which they worked on. This helps immensely when trying to create a site to showcase their projects. 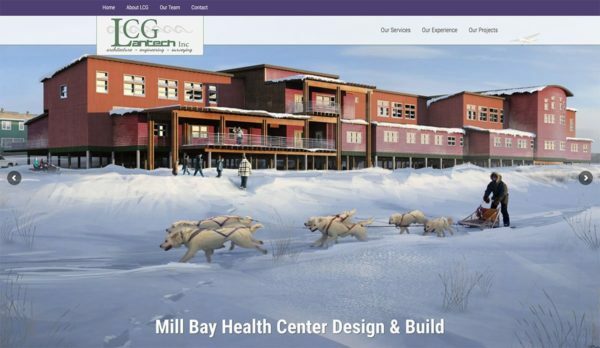 I believe that we will see a lot of quick gains building LCG Lantech’s online presence because there does not appear to be a lot of SEO activity online in Alaska in the engineering and architectural fields.